Surfing is as therapeutic as yoga. Imagine combining both. What would it result in? The best. Yes, only the best! Yoga restores your body after a tiring session of surfing. That makes both a perfect combination and an ideal win-win pair. How about a retreat at a serene place offering the two? Nodding wholeheartedly, aren’t you? I know. 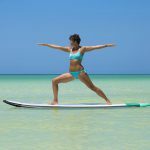 That’s why I compiled a list of the 7 best yoga surf retreats from around the world for you to choose from. Go ahead. Make it happen. Before that, let’s learn about the concept of yoga surf retreats. What Is A Yoga Surf Retreat? The growing popularity of yoga and surfing paved the way for resorts to spring up near beaches and offer the experience of both to an increasing number of people looking for a rejuvenating holiday. The services at these resorts range from yoga classes, surf lessons, and healthy food to spa sessions and Ayurvedic treatments. The retreats ensure an active holiday with an equally relaxing ambiance to de-stress. Let’s have a look at a few such retreats from around the world. 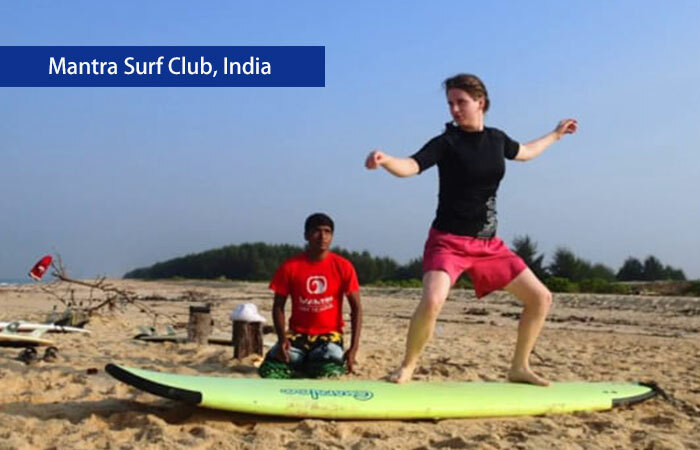 Place: The place was started in 2004 by Jack Hebner and Rick Perry, who are pioneering surfing in India. They chose an ideal coastal village tucked in the wildlife-rich Southern Karnataka, not too far away from Mangalore. Services: The Mantra Club is an experience. Here, you can practice yoga, surf, eat nutritious food, and meditate. You can also indulge in adventure sports and experience the vibrant culture. The place offers sea kayaking and snorkeling at the local islands. You can unwind with volleyball or check out documentaries on environment protection. Or just read a book and enjoy the sea breeze. The accommodation is comfortable with a homelike ambiance. Contact: Mantra Surfing and Adventure Sports Center, #6-64 KolachiKambala, Bappanadu, Mulki, Mangalore, Karnataka, India – 574154. Place: This retreat located in the scenic Atlantic coast was started by two surfing enthusiasts from Berlin called Timo and Jens who love Portugal and live there. It is situated just 30 km west of Lisbon, the capital of Portugal. The sea view from the resort is breathtaking and is an ideal place to enjoy a surf retreat. Services: The place offers surfing and yoga in various packages, be it for couples, families, or solo guests. 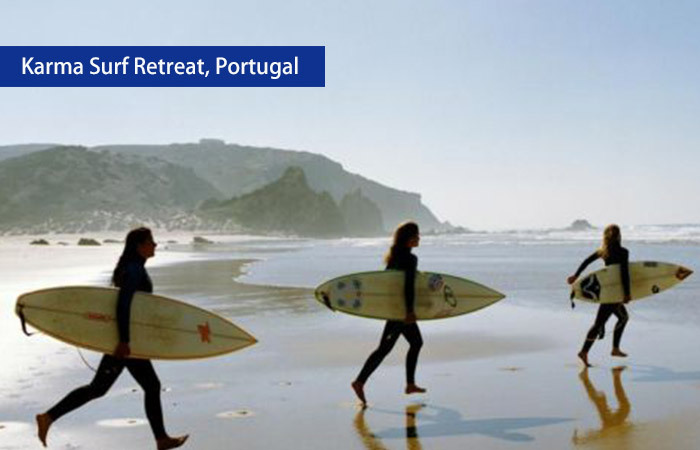 The retreat teaches you to feel and enjoy surfing. It packages together the goodness of yoga, surfing, and great food in a comfortable living space with ample time for relaxation and rejuvenation. There are specific schedules and timings allotted for the package that you choose. The retreat has villas with a pool area and gardens. Place: Soul & Surf was the result of Ed and Sofie Templeton’s dream to do something different with their lives. The name of the place aptly describes the way they look at surfing and life – soulful and balanced. Soul & Surf is located in absolute greenery on the South coast near Ahangama. The place is beautiful and gives you a boutique-like experience in the lap of nature. Services: Soul & Surf provides focused surf, yoga, and therapy with experts to train and see you through it. A detailed and wholesome experience is their specialty. Apart from the lessons, the retreat is a perfect place to meet new people and spend quality time with family and friends. Also, a great place to spend some solo time. You can enjoy the goodness of Vinyasa Yoga practice, meditation, Ayurvedic therapy, and some intimate music gigs over here. 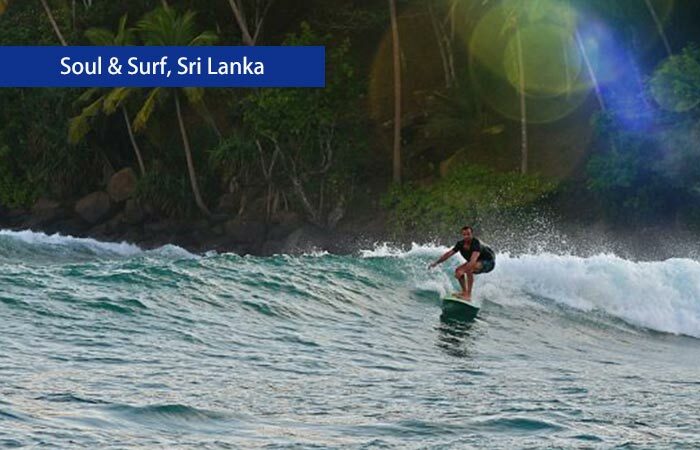 Contact: Soul & Surf, at Duwa Villas, Ahangama, Southern Province, Sri Lanka. Place: Surf Goddess Retreat is a private women’s retreat in the serene Seminyak of Bali. Since its inception in 2003, it has developed to become one of the globally recognized women’s retreats in the world. The place is ideal for learning surfing and is perfect for solo woman travelers. It is a positive environment filled with fun and laughter of women. Services: The retreat offers women-friendly surf lessons, soothing yoga sessions, decadent spa treatments, and well-being programs. There are numerous pools on the property where you can enjoy dips. You can also spend quality time reading or meditating in the lush gardens and quiet pavilions of the place. The meals here are organic and made with the fresh local produce, which you can enjoy eating while looking at the breathtaking views of the place. Also, the sights and sounds of the rich local culture here are absolutely engrossing. Contact: Jl. Beraban 333, Seminyak 80361, Indonesia. Place: Sansara is situated in the beautiful Pacific coastline of Panama. It is a beachfront property with a serene setting, run by Janel and Michael Phillips. The retreat is ideal to recharge and indulge in yoga and surfing or simply chill in a hammock and listen to the sounds of nature. Services: It has pools overlooking the Pacific ocean, bikes that you can use to explore the place, nature hikes to go to, and snorkeling equipment. Apart from the regular yoga and surf lessons, you also get to do kayaking, stand up paddling, and fishing. With a great wind hitting your being and ample activities to choose from, this place is the best to relax and chill. Place: Surf Star is situated in the midst of a coastline full of surf spots and amid stunning scenery. It is a perfect location for a surf and yoga retreat. 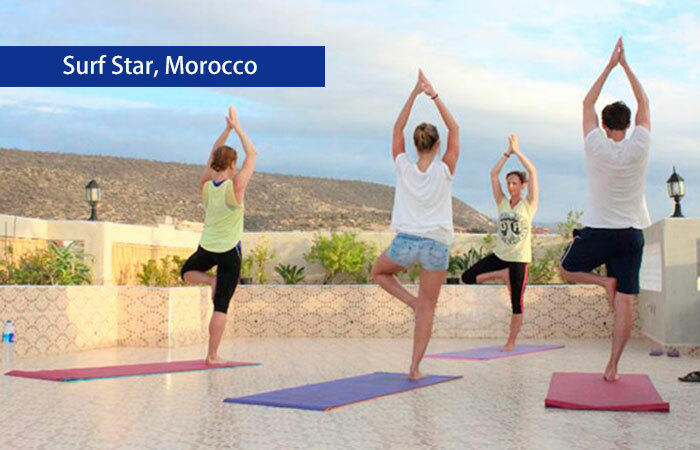 The place offers an incredible Moroccan surf adventure and a chance to explore the local culture and food. It has a homelike atmosphere with the added advantages of a glorious sunshine and pristine beaches. Services: The retreat has something for everybody. If you have never done surfing previously, this place is perfect to begin learning. It offers beginner, intermediate, and advanced surf lessons along with yoga camps to recharge and strengthen yourself. The place serves delicious Moroccan dishes to savour after a good session of exercise. Contact: Surf House Morocco، Tamraght, Agadir، Agadir 80000, Morocco. Place: Wanderlust is a great place to go with your girl gang and have an adventurous holiday. This women retreat situated in the incredible Raglan in New Zealand is founded by Natalie, a passionate surfer who got a taste of it for the first time when she was 14 and never looked back since then. The retreat is designed to suit women and enables them to experience the place with similar thinking women. It is an incredible place to connect your mind and body and savour it in an ecologically sustainable environment. 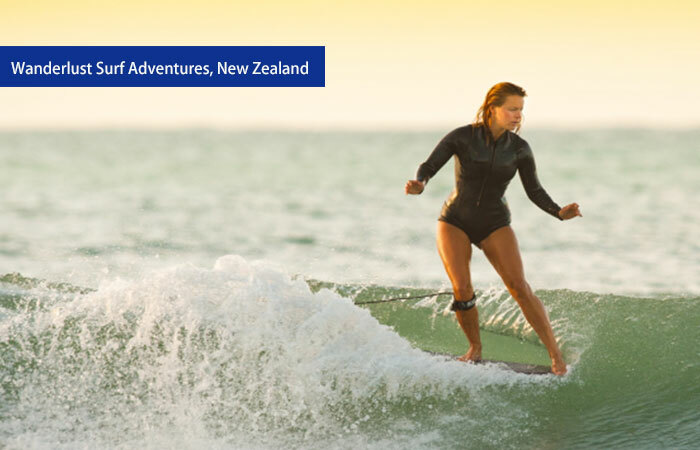 Services: The site is located near the best waves in Raglan, and you can experience them under the expert guidance of a local female guide. The place has sessions on the importance of health for female surfers along with consultations by a local naturopath. This, along with scrumptious meals and restorative yoga. What’s not to like? And, there are exotic black sand beaches to catch a great wave and have the best time. Now, let’s answer some common queries about these retreats. How does the place of yoga in a surf and yoga retreat vary from one in a yoga retreat? In a yoga retreat, yoga is practiced more as a primary source of exercise. In a surf and yoga retreat, yoga is considered more like a relaxing and restorative stretch to keep the body balanced after an exhaustive surf session. Is there any age restriction to practice surfing at the surf retreats? Yes, they usually prefer the surfers to be above 18 years. Do I need to know how to swim to surf? Yes, knowledge of swimming is recommended for surfing. 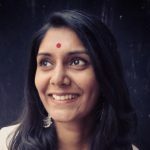 What if I am new to surfing and yoga? You need not worry; the retreats are equipped to train newbies. Holidays are not anymore the usual spending time at a hill station or going to the countryside. They have changed and evolved according to people’s tastes. Surf and yoga retreats are one such concept, and we hope the list here will help you pick one and zoom off to it.